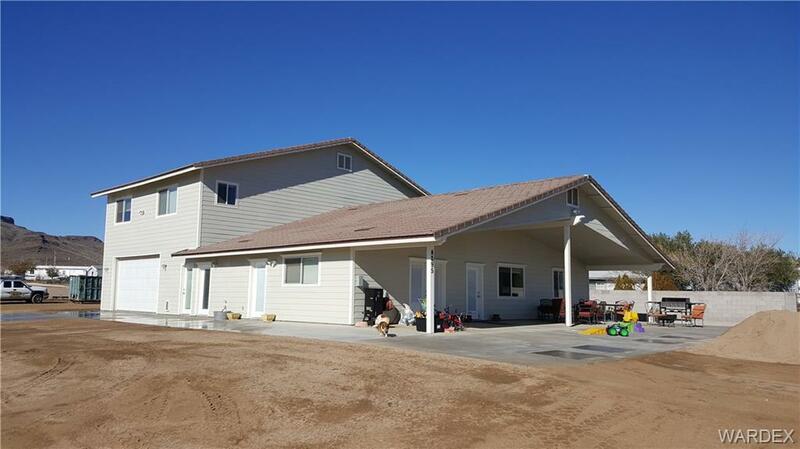 This Fantastic Home on 1.02 acres is PERFECT FOR A LARGE FAMILY! It has 6 BEDROOMS * 5 BATHS * EXTENDED KITCHEN * LARGE DEN/OFFICE and FAMILY ROOM! It has beautiful Granite Counter Tops in the kitchen with a large walk-in-pantry. The Master Bath has a walk-in-tile shower and corner soaking tub. There are many upgrades such as RV hookups, 400 amp electric service, and plumbed for grey water reclamation for irrigation to name just a few! This home is COMPLETELY UNIQUE!! It would be ideal as a MULTIGENERATIONAL home. It is designed with the potential of 3 PRIVATE LIVING QUARTERS! Perfect for adult children, aging parents or guests! SO MANY POSSIBILITIES !! There is covered storage for your boats and other toys. Could also be used to shelter your horses which are allowed on this property. Beautiful views of the mountains can be enjoyed on the large covered patio. Make this ONE OF A KIND home yours! Lot Description: Horses Allowed, Level To Street, Rd Paved, Res. Ag.